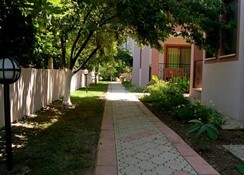 The modern Minta Apartments, opened in 2006, feature a lovely garden with a terrace and comprise a total of 12 apartments. Amongst the facilities are a foyer with 24-hour reception desk, offering safety box, currency exchange and information.In addition, the hotel offers its own café, bar and also a restaurant. Room service and laundry services are also available (for an added fee). There is also parking and a garage for those arriving by car. 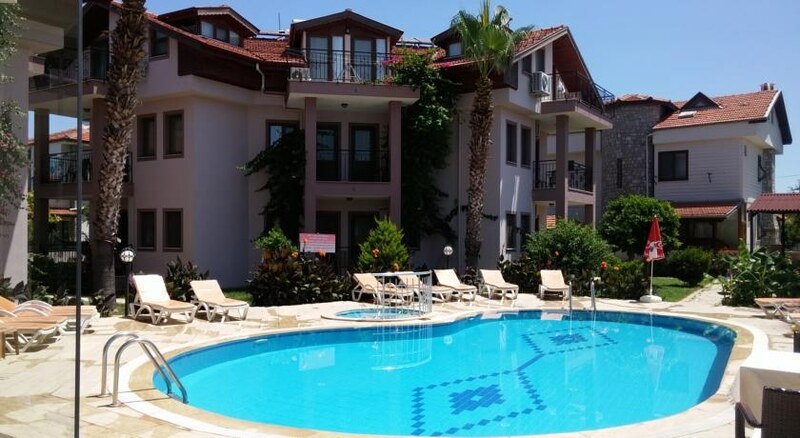 Situated in Dalyan just 5 minutes walk to the town center, 30 kms from Dalaman Airport, and 10 kms to Iztuzu Beach. The apartments are one bedroom with seperate living area and include an ensuite bathroom with a hairdryer, a TV, internet access, a kitchen with kitchen utensils, a fridge, an oven, a Hoover, a hire safe, air conditioning and heating (payable locally), as well as a balcony or terrace. Each apartment additionally includes a large cupboard, a stool, a lampshade, a sofa and beds for up to 4 persons.The hotel grounds feature a swimming pool, a childrens' pool as well as a poolside snack bar and sun loungers. Visitors have the opportunity to use the massage services (fees apply).